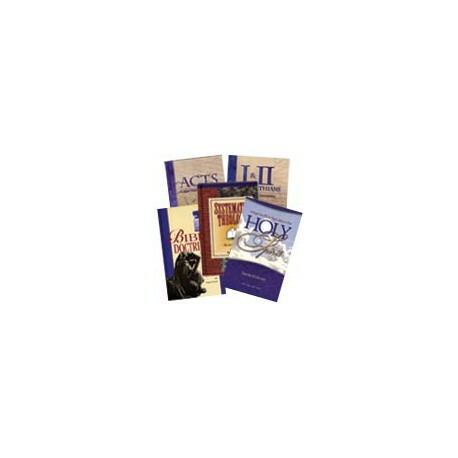 From Pentecostal author and educator Stanley M. Horton, this collection provides outstanding content on Pentecostal biblical interpretation and doctrine backed by extensive research on the historical and theological development of Pentecostal beliefs. The growth of the Pentecostal and charismatic movements has directed new attention to the book of Acts. Combining careful research and practical experience, Horton takes an in-depth look at the story and characters of the Early Church as set forth in the book of Acts. 464 pages with translation, outline, authorship and bibliography information included, as well as scripture reference and key word support through PC Study Bible Version 4. In addition to a strong emphasis on edification of the church through spiritual gifts, Paul's letters to the church at Corinth deal directly with problems facing us today. Horton takes an in-depth look at the history, customs, word meanings, and contemporary application of Paul's writings to the Corinthian church. 272 pages with translation, outline, authorship and bibliography information, as well as scripture reference and key word support through PC Study Bible Version 4. Written with William W. Menzies, Horton provides an in-depth study of the teachings of the Bible. The material presented consists of: 16 fundamental biblical truths to promote growth, maturity, and stability in Christians' spiritual lives. Chapters include: Scriptures Inspired, Deity of the Lord Jesus Christ, Salvation of Man, Millennial Reign of Christ, Baptism in the Holy Ghost, Final Judgment, and the New Heavens and New Earth . 304 pages with study questions, glossary and bibliography information, as well as scripture reference and key word support through PC Study Bible Version 4. This revised edition was written with clergy in mind. 18 Pentecostal scholars examine the Pentecostal faith in such areas as: The Holy Trinity, The Saving Work of Christ, the Baptism in the Holy Spirit, Divine Healing, God's Inspired Word, Spiritual Gifts, and 12 more topics. Study questions with subject and Scripture indexes included. 700 plus pages with glossary and bibliography information, as well as scripture reference and key word support through PC Study Bible Version 4.